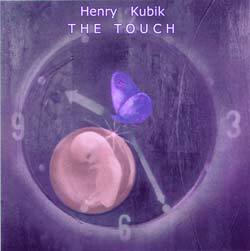 "The Touch" album is the heart of relaxing music. The Touch is sold also in Germany. The style of The Touch is unique but can be loosely described as ambient. Sensitive, warm and feminine, yet at the same time powerful and demanding; this music will touch you deeply. Strong rhythms and beautiful melodies glide together to create an unforgettable experience which is different for the listening of every individual. Haunting electronic sounds are blended with original percussion and pan flutes to evoke powerful human emotions. in mp3 format 320 bps. make possible any new releases in the near future. Henry’s creativity went through a quite remarkable creative journey, since the launch of his first instrumental CD, "The Touch". copyright (c) 2007 henrykubik.com. all rights reserved.